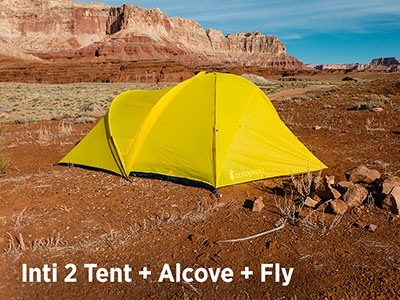 Cotopaxi Inti 2 Review – Is It Really the World’s Most Versatile Tent? 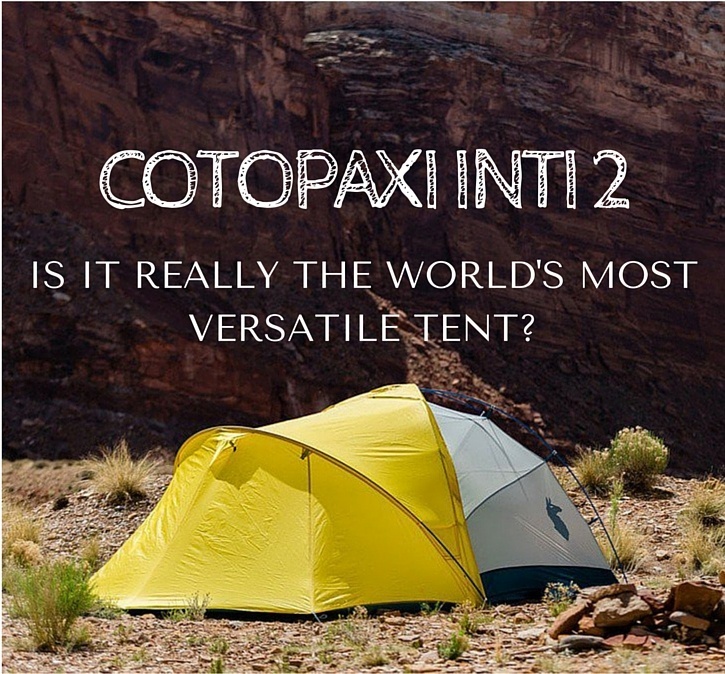 The Cotopaxi Inti 2 is being billed as the The World’s Most Versatile Tent. 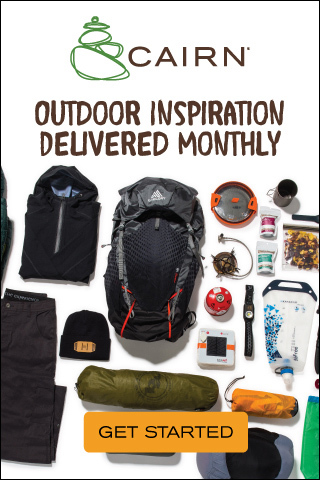 That’s a big claim given the tough competition and innovation coming from big brands like MSR, Big Agnes, Nemo, Mountain Hardwear, Marmot and REI. So I compared the Inti 2 to other ‘versatile’ tents on the market to see if it really is a revolutionary tent. The Alcove is the lightweight shelter with full floor and can be set up with trekking poles or tethered to a tree. 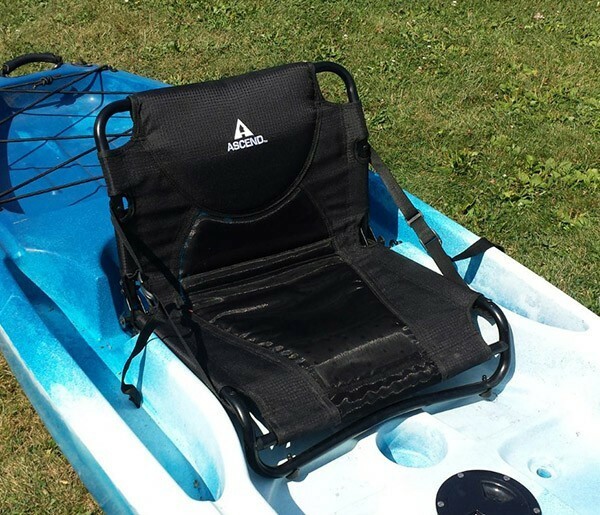 It sleeps 2 comfortably with 35 square feet of space and is well suited to fair weather, ultralight packing. It weighs in at 2.5 pounds. The Tent is a 3 pole dome tent with good headroom and 32 square feet of space for two campers. Two large doors on each side means you don’t have to climb over each other. It weighs in at under five pounds. 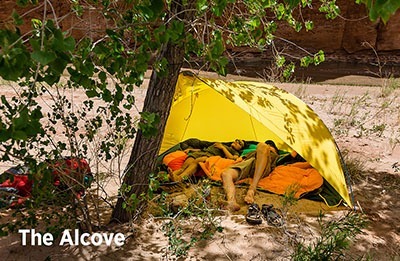 Connect the Alcove and the Tent and you have a full, four person tent (or 5 if you really like each other) which weighs in at just over seven pounds. Attach the Rain Fly for protection from the elements. With all of these components and set up options this can easily be the only tent you ever need. Setup: Setup of the tent is fairly straightforward with a standard 3 pole construction. The alcove has a simple one hoop design which snaps onto the tent. 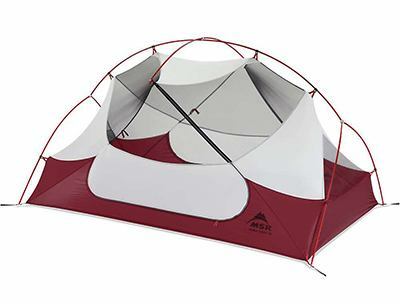 Versatility: Clearly an incredibly versatile tent with so many set up options. Materials: Poles: 9 MM Aluminum Poles, Floor Material: 40D Water Resistant ripstop nylon, Canopy: 15D poly ripstop nylon and no-see-um mesh, Alcove and Rain Fly: 20D poly backed Ripstop nylon. Lightweight tents are always a balance between durability and weight. The Inti 2 does this well; tough but still fairly light. 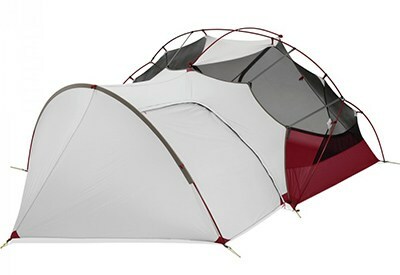 Price: Retails for $429 which includes the tent, the rain fly and the alcove. Significantly cheaper than the competition which you can read about below. ​So far, the Cotopaxi Inti 2 looks like the real deal for the serious adventurer or family camper that’s looking for a true 3-in-1 tent. But how does this new tent concept compare to other popular tents that claim to be versatile and multipurpose? My research turned up two contenders that came close to competing. Both offer similar tent design with a simple pole set up, a lightweight shelter option and if you purchase a large vestibule add on you can ‘kind-of, sort-of’ have something similar to the Inti 2 tent. Neither of them match up perfectly or mesh as seamlessly which proves the Cotopaxi claim that they have come up with the worlds most versatile tent but they are still worth a look. The Marmot Colfax 2P tent, coupled with the Marmot Porch which attaches to the tent adding storage space or room for additional campers, comes close to offering the same benefits as the Inti 2 but with several shortcomings. 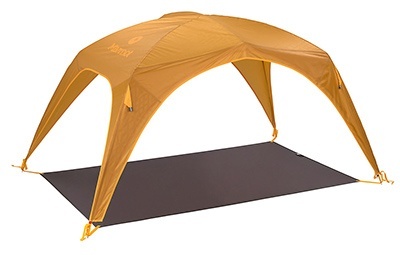 The tent itself is very similar to the 3 pole design of the Inti 2 and made of virtually the same materials but with one large door and one window. It offers a total of 34.5 square feet of space. Included with the tent is a rain fly which doubles as an open air shelter. It’s open on all sides so it’s really a fair weather solution while the Alcove of the Inti 2 offers more protection on 3 sides, and a floor! Adding The Porch, which measures 7 feet 5 inches long by 4 feet wide, allows you to squeeze two campers into it’s 29.4 square feet. The Inti 2 definitely wins in this category with more space and full protection from the elements. Setup: Setup of the tent alone is fairly straightforward with two, intersecting poles and a single spacer pole allowing wider headroom. Set up the rain fly by simply assembling the pole structure and clipping the rain fly on top. The Porch set up has one hoop pole, stakes and zips to the tent. Versatility: While offering good versatility, the Marmot Colfax 2P tent with vestibule and optional porch falls short of the Cotopaxi Inti 2. Neither the porch or the rain fly shelter offer the same protection as there is no floor and the rain fly has no side walls. Weight: Tent 5 lbs 14 ounces. The Porch 1 lb 12 ounces. Total 7 lbs 10 ounces. 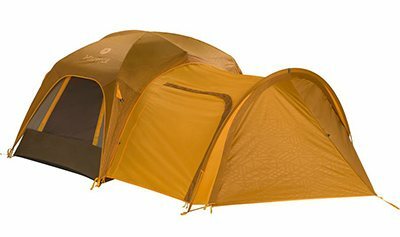 Price: Currently, the Marmot Colfax 2P Tent sells for $269, add the porch for another $89.97, bringing the total cost to $358.98 which is a little cheaper than the Inti 2 at $429. 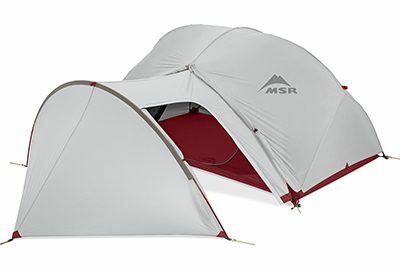 The MSR Hubba Hubba NX with Gear Shed is similar in concept and design to the Marmot Colfax. A unique, one pole tent structure with 2 large doors offering plenty of access and ventilation. Add the Gear Shed for gear storage or extra campers. This system is much lighter than both the Inti 2 and the Colfax but it is also a little smaller. 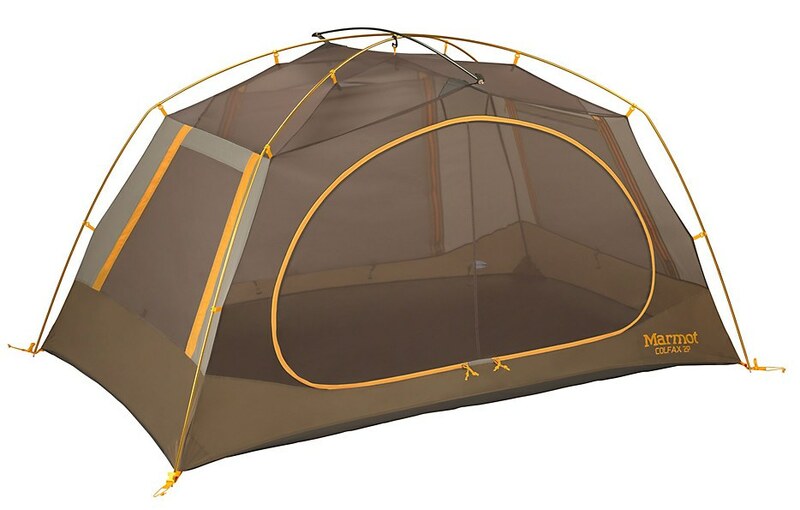 The tent itself has one unique feature which is the split pole design. This pulls the tent out at the bottom maximizing the 29 square feet of space. Two large vestibules offer great gear storage for both campers. 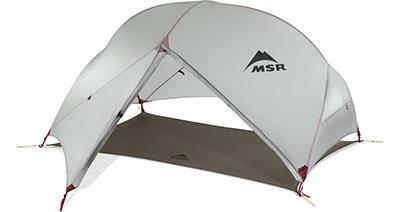 The rain fly offers good coverage and protection and when set up solely on the frame in what MSR calls the ‘Fast & Light’ set up, becomes a good open air shelter that is better than the Marmot but still falls short of the Inti 2 for protection and a floor! The Gear Shed attachment adds 26 square feet of space which is a great place to house that bike or a buddy who hasn’t showered in a while. It’s a bit tight for two campers but you could make do in a pinch. Setup: A unique pole/hub structure means the tent sets up easily with one person. The Gear Shed has the typical loop pole with tie downs and attaches to the tent easily. 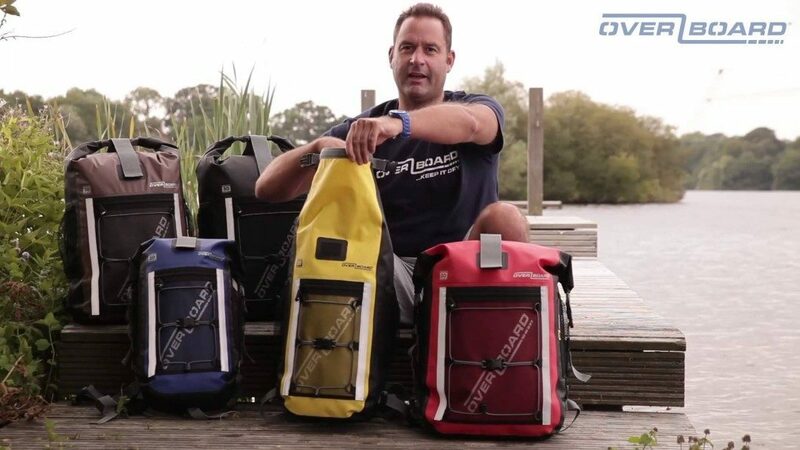 Versatility: An extremely light and versatile setup designed for the backpacker. 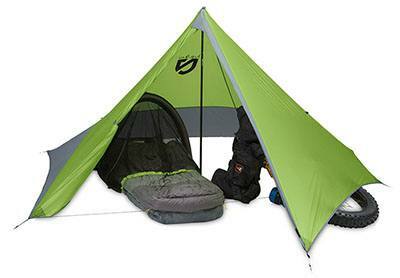 The smaller size is a drawback relative to the Inti 2 in my opinion but it is a great tent! 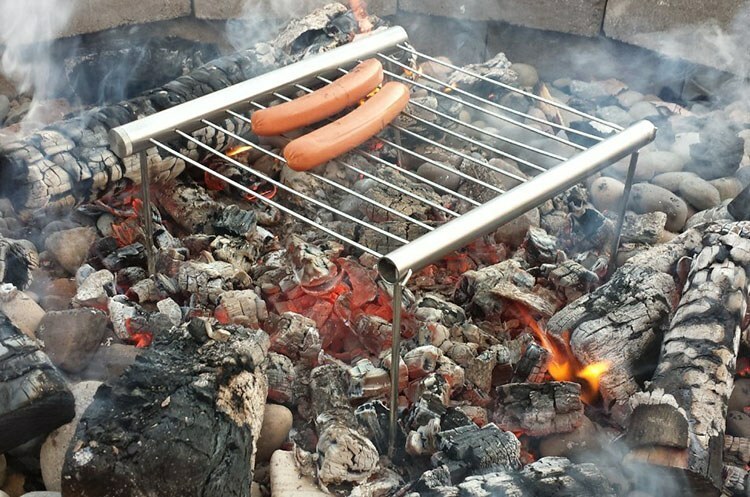 Materials: Poles: Ultralight Aluminum. Rain Fly: 20D Ripstop nylon. Canopy: 20D Ripstop nylon. Mesh: 15D nylon micro mesh. Gear Shed: 40D Ripstop nylon. Weight: The tent 3 lbs 7 ounces. The Gear Shed 1 lb 12 ounces. Total weight 5 lbs 3 ounces. 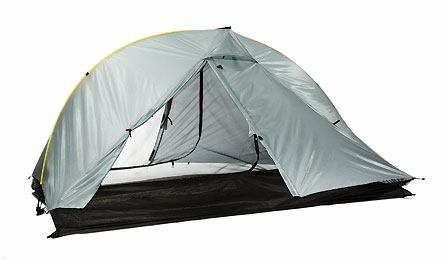 Price: Currently, the tent sells for $399.95, add the Gear Shed for another $169.95, bringing the total cost to $570, far more than the full retail price of the Inti 2 of $429. The Tarptent Double Rainbow sets up in about 2 minutes with one pole and six stakes to keep it fully tensioned. It provides shelter for two campers and if you prefer an open air shelter you can zip out the inner mesh. 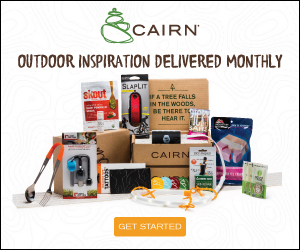 Packs super small and light for ultralight backpacking. Very cool, yet lacks the features of the Inti 2. Considered an ultralight bike-packing tent because of it’s small, packable size, the Apollo 3p sets up with nothing more than a trekking pole and stakes. When you add an Escape Pod 1p Bivy, you have bug protection and warmth. Unlike the Inti 2 you actually get a sleeping bag with this package. I view this as a very limited purpose tent for extremely ultralight situations. There are others but I think you get the point. 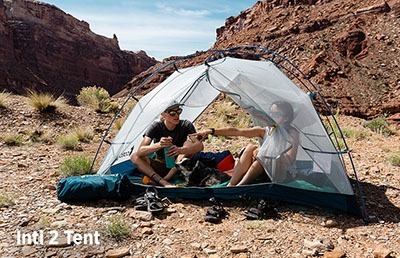 Very few, if any, tents offer anything close to what you get with the Inti 2. 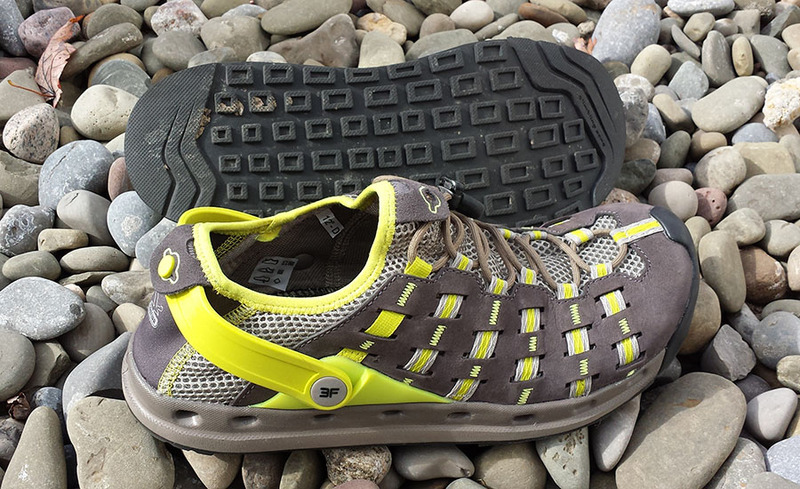 After looking at all the angles, it’s hard to argue that the Cotopaxi Inti 2 stands alone. High quality materials, flexibility, great design; it has it all. The price tag may take you by surprise at first, but when looking at all that’s included, it’s actually a great value for what is basically three tents. It’s easy to see why the I﻿ndiegogo campaign was such a success and you can bet other tent makers will take notice and we’ll see more innovation like this. As for me, I like to get out in the woods by myself and the ultralight Alcove would fit the bill as I like to pack light. If my wife or one of the kids wanted to join me, I could put them in the Alcove or pack the tent. If both kids and my wife wanted to make the journey we could pack the whole set. I will absolutely be buying one as soon as they are available. 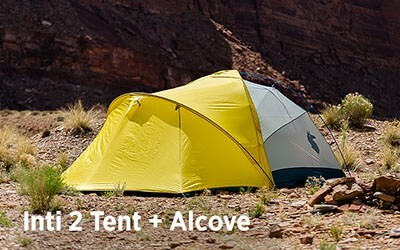 I missed the crowdfunding campaign, which is a bummer since these tents were hugely discounted, but I will be first inline when they hit cotopaxi.com later this year and I’ll be back with an update to this review with my personal experience.